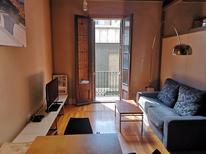 City apartment for four people in the “El Pobre Sec” district in the heart of Barcelona. 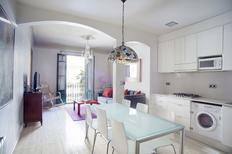 Barcelona | Would you like to know which holiday home or apartment is particularly worth spending a holiday in? 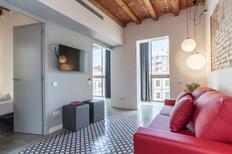 Here we'll show you the accommodation in Barcelona, which has received the best reviews from our customers. 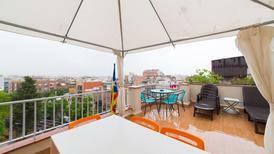 A holiday house in Barcelona costs on average GBP 1,266 in the cheap travel period and GBP 2,537 in the peak season per week. These details are of course in relation to the house and not per person as well as includes the obligatory additional charges. DuMont recommends atraveo: DuMont direct – Barcelona 2011, page 86. 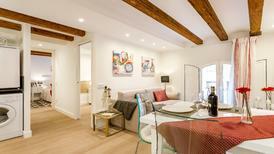 A holiday home in Barcelona will take travelers to one of Spain's most enchanting cities. 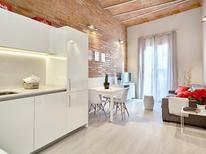 Barcelona dates back over two thousand years, and the streets are teeming with history. Located on the coast, the city is bordered by mountains and rivers, lending it a scenic air. Today, Barcelona is the second largest city in Spain and the capital of the Catalonia region. 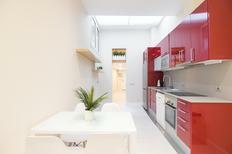 As such, it offers prime examples of Spanish culture and tradition. Renting a holiday house or holiday apartment will allow visitors to explore at their own pace while staying in comfortable accommodations. 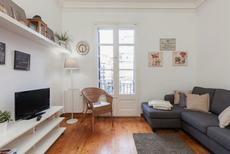 A holiday rental will provide easy access to the treasures of Barcelona. There are several buildings designed by Antoni Gaudi, Spain's most heralded architect. His most popular building is the Sagrada Familia basillica. Though still under construction, much of it is open to visitors and it is already considered a UNESCO World Heritage Site. The city's extensive Picasso Museum offers a massive retrospective of the artist's career, while the Barcelona Royal Shipyard now houses a maritime museum inside its Gothic building. The Barcelona City History Museum is great for getting to know local history, and the FC Barcelona Museum is quite popular, with its memorabilia of the city's football club. If a Barcelona holiday rental doesn't provide enough historic sites, nearby Tarragona has even more, including well preserved ruins dating back to the Romans. 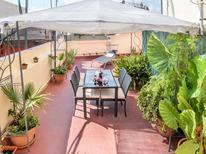 A holiday rental in Barcelona is a great choice for outdoors types. The city has an eclectic collection of municipal parks that include architectectural wonders, like the Park Guell, which also houses the Gaudi Museum, while others offer a chance to escape into nature. The mountains north of the city are great for day hikes, while both Barcelona and nearby Costa Dorada are well known for their beaches on the Mediterranean Sea. 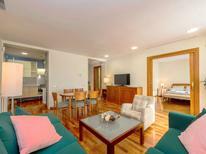 Book a holiday house or holiday apartment in Barcelona and get the perfect starting point for a memorable vacation.